Poptopia Holidays brings together some of Charlotte's top micro-retailers in an upscale, yet inviting setting. Settled in the Sonia and Isaac Luski Gallery at the Foundation for the Carolinas, this fifteen shop pop-up let's you get your holiday shopping done in one gorgeous setting. Enjoy light bites, coffee and wine throughout the week in addition to music and more. We heavily cater to the Uptown professionals and residents. Our team joins the overall Historic South End Small Business Saturday planning team as event curator, focusing on bringing together small businesses from across the region to celebrate the national shopping holiday. We oversee the call-to-vendors, selection and placement, and plan a load-in and strike plan for the day-of in addition to managing all communication efforts between the managing team and each individual vendor. 2019 Date: November 30th, time TBD. 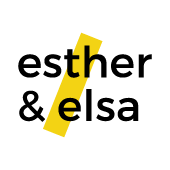 Esther and Elsa solely focuses on the curation of makers and artistans from across the North and South Carolina region for this Historic South End neighborhood festival. We focus our efforts on vendor communication, advocacy, and festival day-of needs of vendors. After the festival, we compile sales data and festival feedback for future growth exploration. 2019 Date: April 27th from 11a-5p.